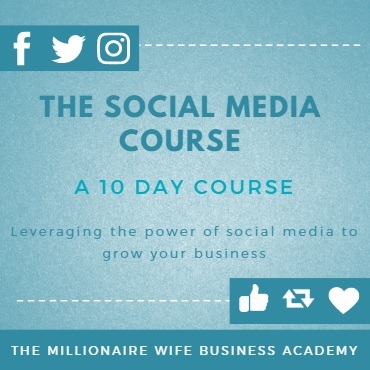 This course is guaranteed to teach you how to grow and profit from your home/online business by leveraging on the power of Social Media in just... 10 DAYS! This is a 10 days course during which you will get video trainings and daily activities that will teach you how to master social media and how to leverage on its power to grow your home/online business into a successful one. 9 Proven Steps to selling on social media. How to find and target where your ideal customers are on social media. How best to connect with your ideal customers on social media. How to ensure your posts get the desired engagements that lead to sales. Must-have Apps and tools that will aid your social media engagements and conversions. Bonus: A social media calendar to guide you on what to post daily. This course is for you if you've always struggled to attract your ideal customers enough to convert them to paying customers. You will learn how to draw these customers, get them interested in your product/service, have them to return to you and even refer you to others. Join The Course Today For Only ₦22,700 ₦10,000 and enjoy a 44% discount.